Richard Kelly’s Donnie Darko has been blowing high school kids’ minds ever since it came out back in 2001, so to ensure that future generations are able to learn about life and death from a scary rabbit for years to come, the British Film Institute has put together a 4K remaster of the film that makes it look much more high-definition than it used to. 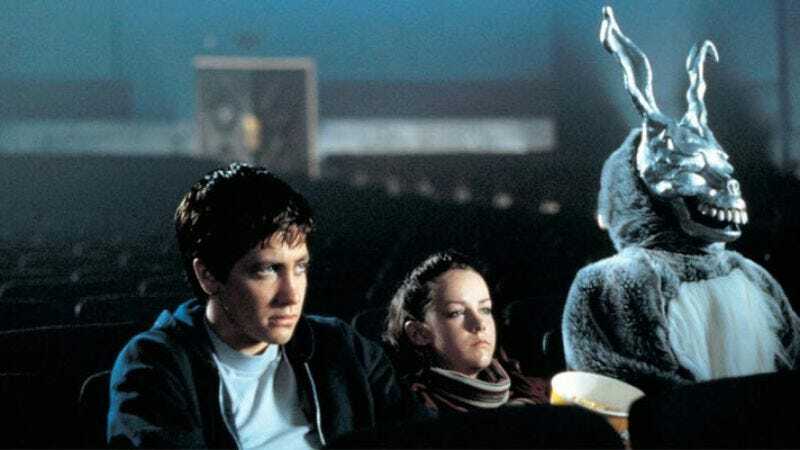 This comes from IndieWire, which reports that the 4K version of Donnie Darko will debut in British theaters (or “cinemas”) in December. The restoration doesn’t have any kind of U.S. release date yet—either in theaters or on a fancy Blu-ray—but one is most likely in the works. After all, British people can’t keep their prestigious TV dramas and Liverpudlian rock bands out of American hands, so it shouldn’t be any different for a British restoration of an American film. You can see a trailer for the restoration below.